ORCHARD TRI-PLANE – SWECO PRODUCTS, INC. 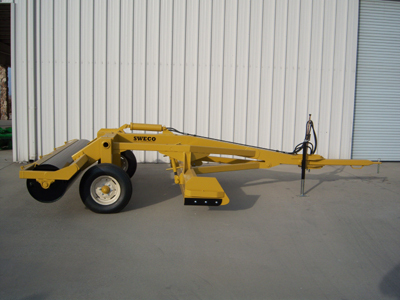 The SWECO Orchard is specifically designed for use in orchards. It’s five-position offset hitch gives the ability to get closer to trees while the tractor stays in the center of rows. Simple Blade Adjustment; Low Clearance; Large Bucket Capacity; 20″ Smooth Roller; 4 x 14 x 1-1/2 Cylinder and Hoses; Adjustable Hitch; Heavy Duty Bucket Cranks; 1-3/4″ Bearings for Roller; Transport Lockout.